I went back to Salzburg for my birthday, because where else would I go? 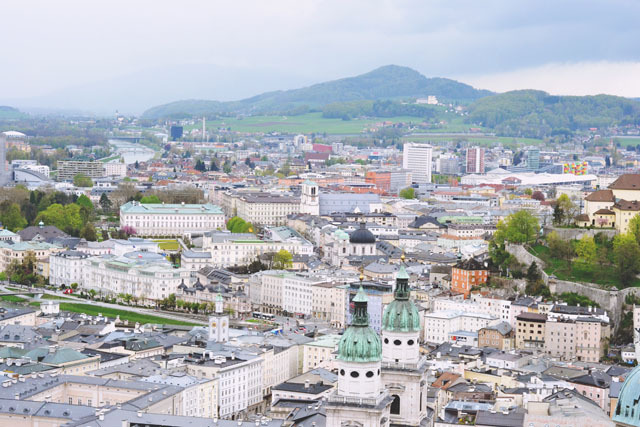 Rather than writing another 'I did this, then did this' post like the other twelve Salzburg posts I've written, I thought I'd write a more general post explaining why it's such a great city. My Five Reasons You Should Visit Riga post went down well, so I'll use this structure again to share why you should visit Salzburg. Salzburg is a funny place because, by Austrian standards, it's a big city. In fact, it's the fourth-largest city in the country. For context, the fourth-largest city in the UK is Glasgow. Yet with Salzburg, it's like being in the middle of the country side. The city is small enough to walk around on foot- more or less everything you'll want to visit is between the station and the fortress, a walk of less than 30 minutes. If you want to travel further afield, you'll find that the bus route ends up in countryside within a matter of minutes, and there are mountains everywhere you look. Even in the city centre at the height of summer, the crowds are pretty small. This juxtaposition of city life and countryside is absolutely perfect if you want the best of both worlds. TIP: To really experience the serene atmosphere, book a hotel out of the city centre. We always stay in the Schloss Leopoldskron, which is an actual palace sat in peaceful grounds including a huge lake at the foot of the Untersberg mountain. It's the most relaxing place, but is only a 20-minute walk into the city centre (or a 10-minute taxi ride if you're feeling lazy). TIP: For first-time visitors, I recommend exploring the Festung Hohensalzburg- the iconic fortress that dominates the landscape. If you have a little longer, get the bus out to the Untersberg mountain (but remember suncream!) and walk around the Schloss Hellbrunn. 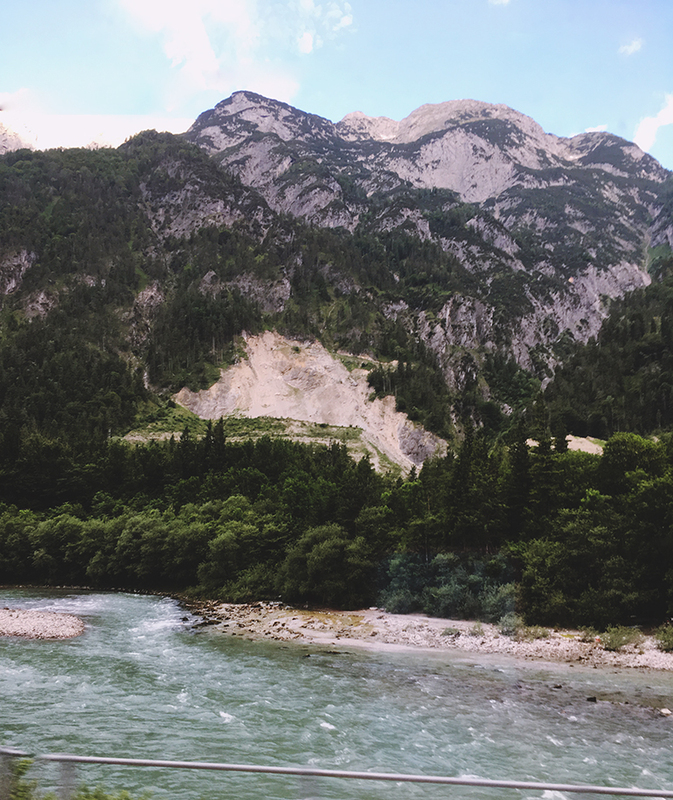 For Sound of Music fans, the Panorama tour is incredible. SUPER TIP: Buy a Salzburg Card. Most cities have an equivalent but this one is by far the best value I've come across. It gives you free access to every attraction in the city, unlimited public transport in the wider city area and discounts for a range of tours, concerts and other experiences. 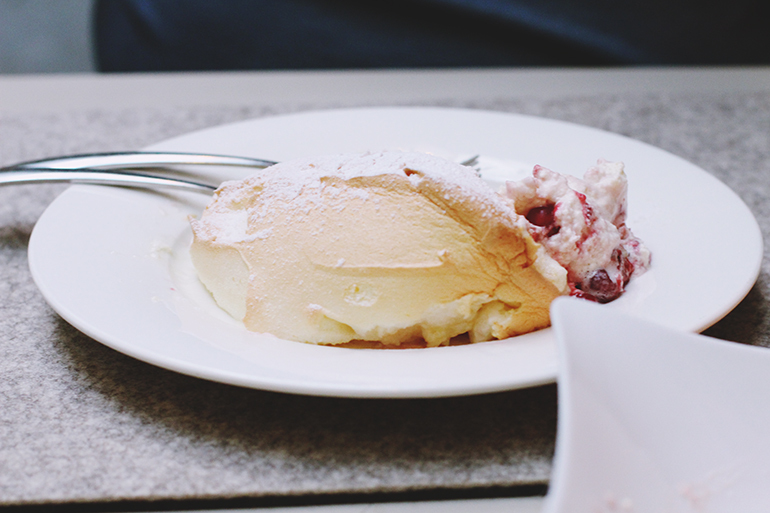 Austria is home to schnitzel, strudel, Sacher Torte, Salzburger nockerl, and Almdudler, and you really must try them all! 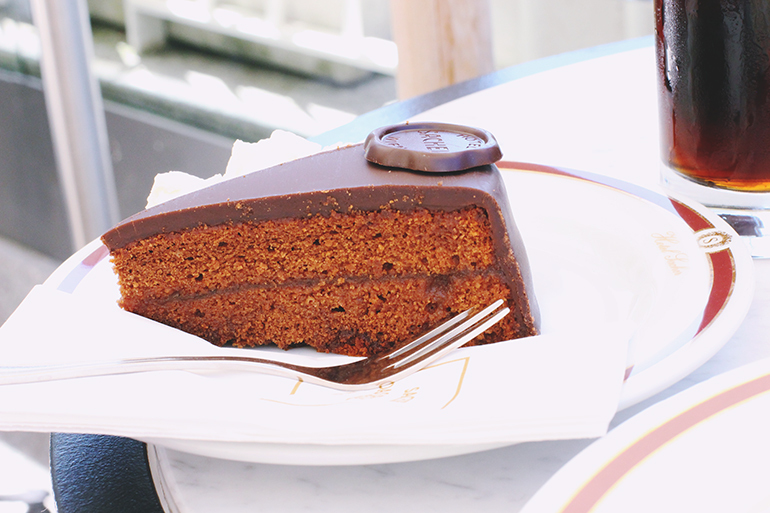 The first two can be sampled in just about any restaurant and, as the name suggests, Sacher Torte- a rich chocolate cake- is available from the luxury Hotel Sacher along the riverbank right in the centre of the city. Salzburger nockerl is a light, whipped dessert served in a few restaurants including Stiftskeller St Peter, and Almdudler is a strange fizzy drink that I can't describe but is absolutely delicious and is available anywhere you'd find Coca Cola. As well as having delicious food, the restaurants themselves are lovely- it's always worth trying to get a terrace table at a cafe and soaking up the atmosphere. TIP: If you want a special meal, Stiftskeller St Peter is supposedly the oldest restaurant in the world. It's alleged that Christopher Columbus and Mozart himself ate there, and it's carved into the mountain which is pretty cool. For a cheaper, easier bite to eat, Burgerista sells the best burgers I've ever had. They're juicy and filling and just delicious! 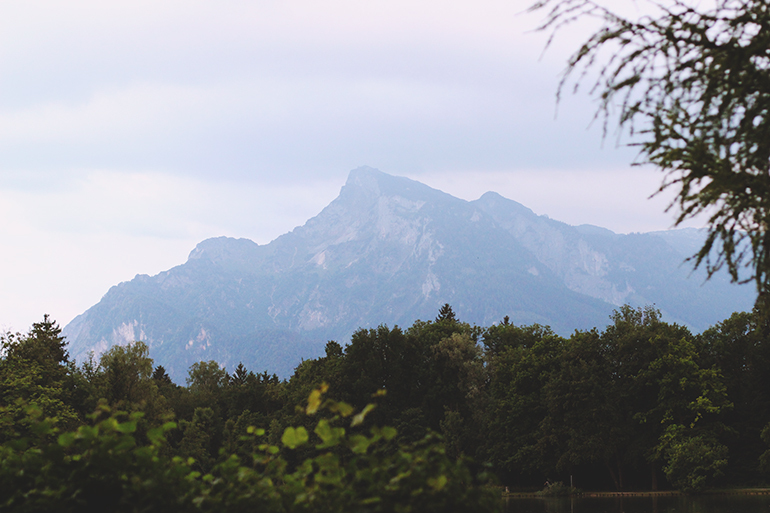 Salzburg is the prettiest place I've ever been! It's a beautiful mix of pastel Baroque architecture, teal copper rooftops and elaborate fountains. Every angle has something beautiful. Not to mention all the mountains- especially in the winter when they're capped with snow! It's the ultimate location for outfit shots because every background is stunning and since it's so quiet, you never feel like you're being watched. 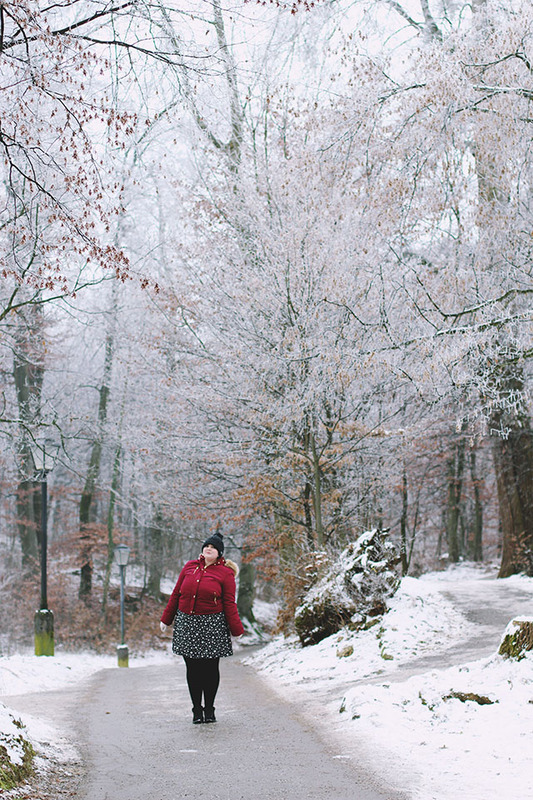 TIP: For the best Instagram shots, head to the Mönchsberg. The view from the top of the fortress is gorgeous but everybody takes photos there (just look up Salzburg on Pinterest and see the hundreds of identical photos!) Walking around the mountain gives an alternative perspective. 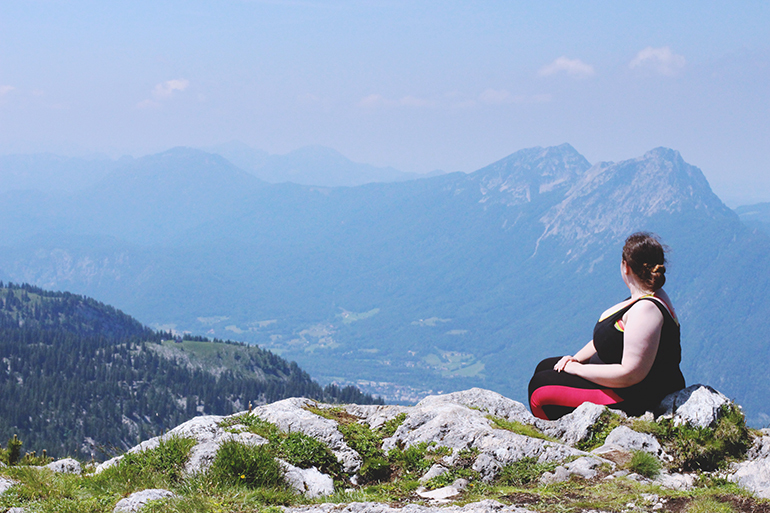 There's nothing like the view from the top of the Untersberg though. 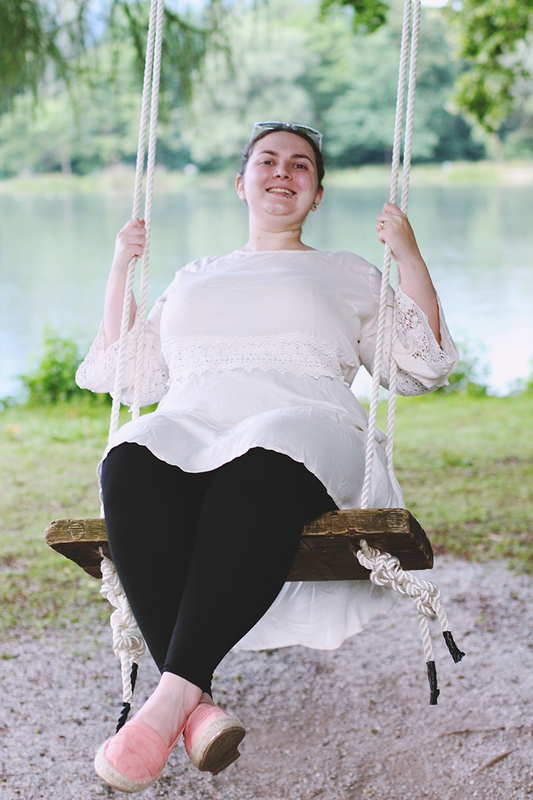 I prefer it on cloudy days because it looks like you're floating in the air (see here for proof). OK so this isn't about Salzburg per se, but it's worth mentioning. 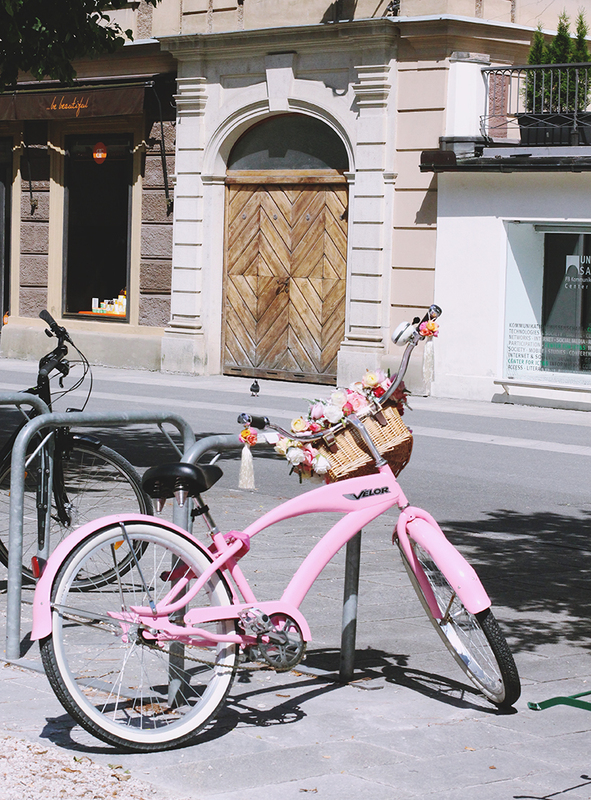 Salzburg is right in the middle of central Europe, making it a great base to explore surrounding countries. The railways are amazing- well priced, comfortable, clean and efficient. I've used both the national ÖBB and the private Westbahn services and they were equally pleasant experiences. From Salzburg, you can get a direct train to Vienna, Munich, Ljubljana, Budapest, Zurich... We took a night train from Venice to Salzburg and it was really great. Different, and I wasn't entirely convinced by it (I had the top bunk and it felt like the train was going to tip up! ), but I'd definitely try it again. TIP: If the trains are a bit pricey, look into FlixBus. They run coach services all over Europe, including Salzburg, and they're an absolute bargain. It cost €7 to get from Munich to Salzburg. Not as comfy as a train, but way cheaper! 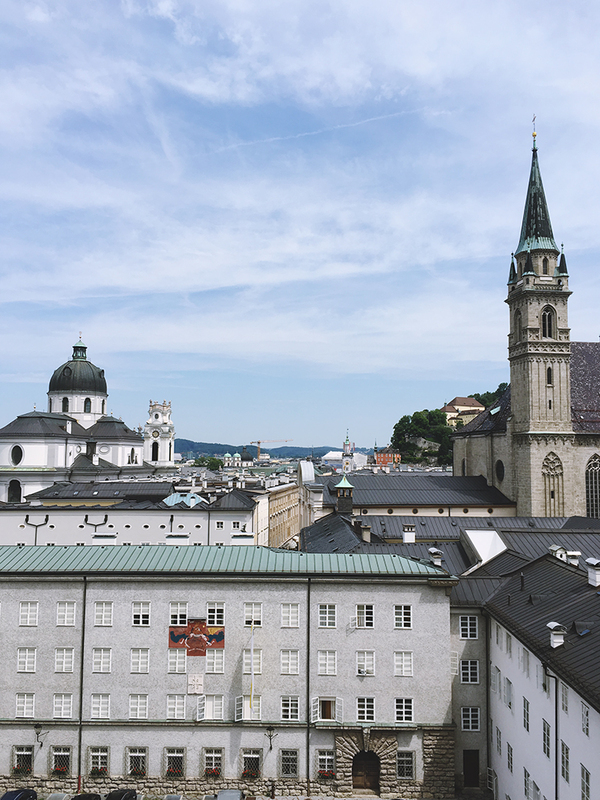 SUPER TIP: If I'm combining my trip with another city in Europe, I always end in Salzburg, rather than starting there because it's nice to relax in a quiet location after the hubbub of other European cities. I definitely needed the peace after the mayhem that was Venice! I've been to Salzburg during three seasons: spring, summer and winter. I'm pretty sure it would be amazing in the autumn and I cannot wait to experience it but that will have to wait until at least next year unfortunately. Salzburg is notorious for raining all the time (so much so that the Schloss Leopoldskron has deemed it necessary to hang rows of umbrellas for guest use alongside the front doors) but three of my visits have been dry and absolutely roasting. The other, at Christmas, was cold and had a blanket of snow over the city but we didn't have a single flake fall from the sky while we were there. I'm starting to believe the whole rainy thing is a myth! Spring: If you ask me, spring is the perfect time to visit. 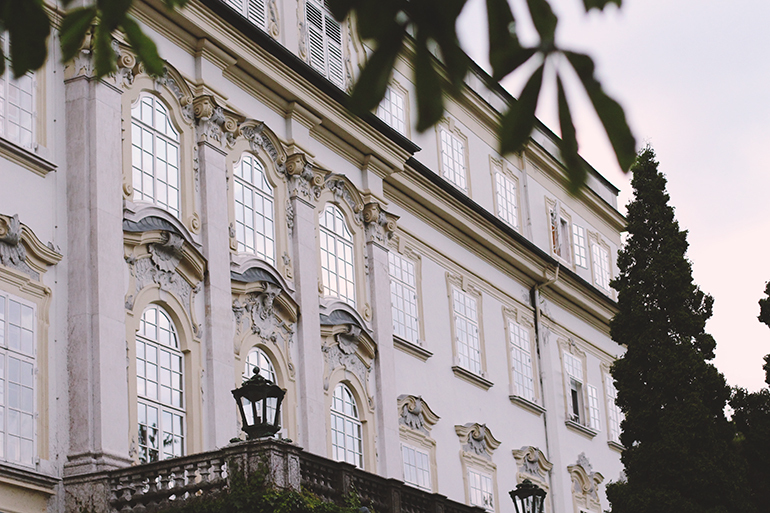 It's quiet but you can still get the full Salzburg experience. Some of the more seasonal cafes are closed but that's a small sacrifice for being able to walk through the city without joining a new tour group every time you take a step. The weather is mild although it is likely to rain (allegedly). Summer: I've been twice in summer and both times I've ended up pink and sweaty. Even though Salzburg is at the foot of the Alps, it can get really hot. The weather averages say 19c is common in the summer months but both my summer visits reached 30c so be prepared! You're also likely to have thunderstorms in the early evening but these are spectacular. I don't like storms at home but I've experienced two in Salzburg and they're just the most magnificent thing. Then afterwards, everything feels refreshed and lovely. Definitely not a bad thing! 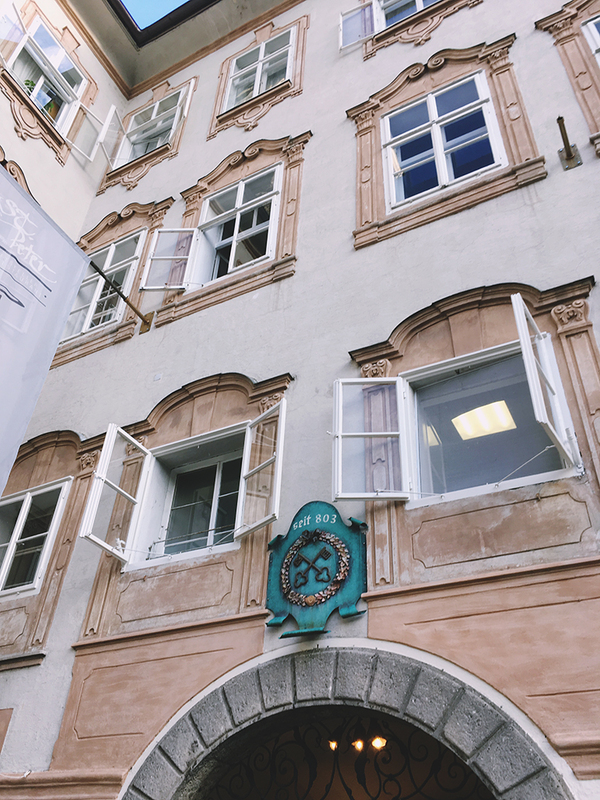 Because summer is the most popular time to visit, everything is open but this does make it busy (although, as I said earlier, Salzburg's idea of busy is still pretty quiet!). Over July and August, the Salzburg Festival takes place, and a lot of the most beautiful buildings become outside stage sets, obstructed with temporary seating and light rigging. Unless you're going specifically for the festival, I'd avoid these months. Winter: For a super festive trip, December is perfect! For a small city, there are loads of Christmas markets, although not all of them are open every day so be ware of that (read my recommendations here). There are lots of fun Austrian traditions and you can catch special carol concerts. You can even venture out a little further and visit the church where Silent Night was first sung, in the village where the hymn was written. Obviously the draw of the festive spirit makes the city a little busier, the beautiful fountains are covered up for protection from the elements and it's very cold, but it's likely to be snowy so that's lovely! Next year, we'll be visiting in January so it will be interesting to see what it's like in winter without the Christmas crowds. Obviously the Austrian Alpine life isn't for everyone. There will always be those who prefer the hustle and bustle of busy cities but, for me, it's perfect. I can think of no better way to end this post than tell a little story about an Austrian man we met on our walk into town. 'I live 5 minutes away and I come up here to look at the view every day. When I see it, it is like paradise. I am in heaven and my heart is happy because I live in the Garden of Eden'. 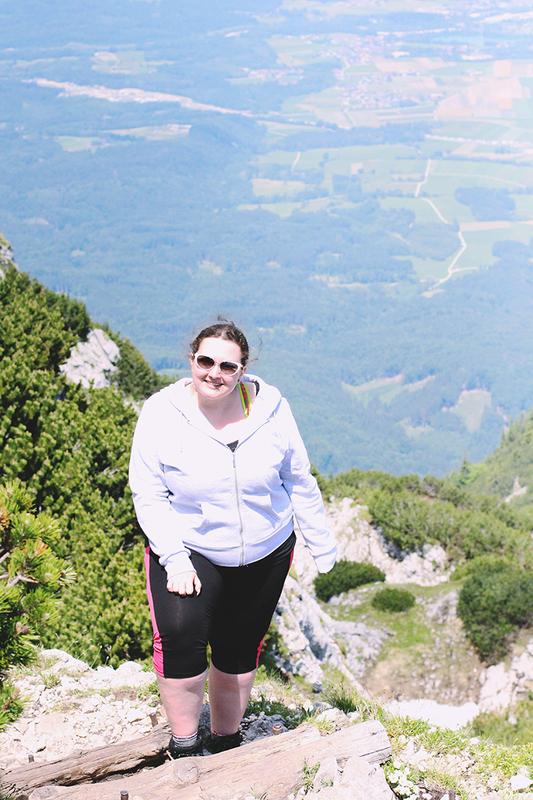 When I went to Austria I honestly loved it! Next I want to visit Salzberg and Vienna whenever I travel there again! You have totally sold me on this place it sounds amazing, so much detail too! 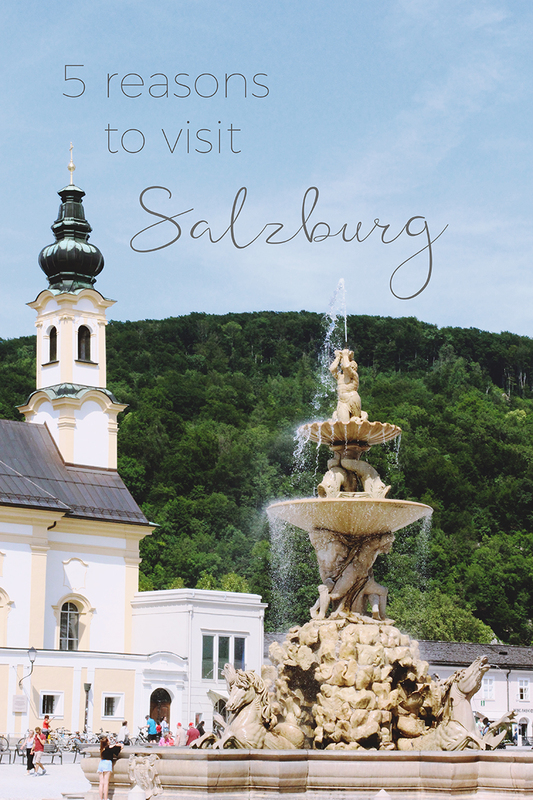 Ah, every time I read one for your Salzberg posts I'm overwhelmed with a desire to book a trip! I haven't managed it yet but I definitely will one day, it looks so wonderful!